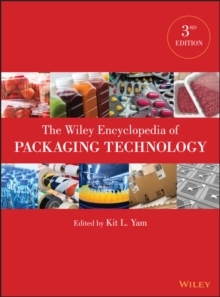 The complete and authoritative guide to modern packaging technologies -updated and expanded From A to Z, The Wiley Encyclopedia of Packaging Technology, Third Edition covers all aspects of packaging technologies essential to the food and pharmaceutical industries, among others. This edition has been thoroughly updated and expanded to include important innovations and changes in materials, processes, and technologies that have occurred over the past decade. It is an invaluable resource for packaging technologists, scientists and engineers, students and educators, packaging material suppliers, packaging converters, packaging machinery manufacturers, processors, retailers, and regulatory agencies.